The fanfare around the Windhoek Country Club’s dividend to its shareholder, the government, brought the issue of ownership and its responsibilities back into the spotlight of what exactly should be the government’s role in the economy. It was an amusing moment when the Minister of State-owned Enterprises, Hon Leon Jooste, received a cheque for N$6 million from the hotel’s manager, complete with board members in attendance. What the line ministry, or the Ministry of Finance for that matter, wants to do with six million is beyond my comprehension, but at least this is one government-owned entity that does not need a N$600 million bailout every year. About two months ago, I was sent a copy of a supposedly new NEEEF document. It took only a few seconds to determine that this was indeed not a new NEEEF bill but the summary of the Cabinet discussions when this bill was first mooted. Although this smacks of a case of either fake news or intentional malinformation, it nevertheless gave me five minutes of entertainment to see what the line of thinking was then, and what it is today. Anybody who wants to understand where the government comes from in terms of poverty alleviation, must go back to that first NEEEF document before it became a bill. Furthermore, it is also not a waste of energy to follow the timeline from the first discussions to the bill to the point where the President stated publicly that the 25% shareholding pillar will no longer be pursued. Perhaps the most striking part of the first NEEEF document is the part that clearly conveys the notion that there is no need to create prosperity, it can simply be taken and redistributed with complete disregard for the consequences, both to the business owners and to the new shareholders. At that time I wrote a commentary pointing out that the Swapo government is deluding its followers, promising them everlasting Nirvana, a steady stream of income, and wealth beyond their wildest dreams. I explicitly wrote that ownership does in fact not mean any of these three but instead, it comes with a whole set of responsibilities, chief of which are governance and capitalisation. What would have happened to all the previously disadvantaged shareholders if they became company shareholders then, only to find out less than a year later that if a company makes a loss, it has to be made good by the shareholders. Imagine the stink it would have created with all the thousands of quick-rich new owners who suddenly would have been confronted with the reality that they now have to pay in, and not take home anymore. 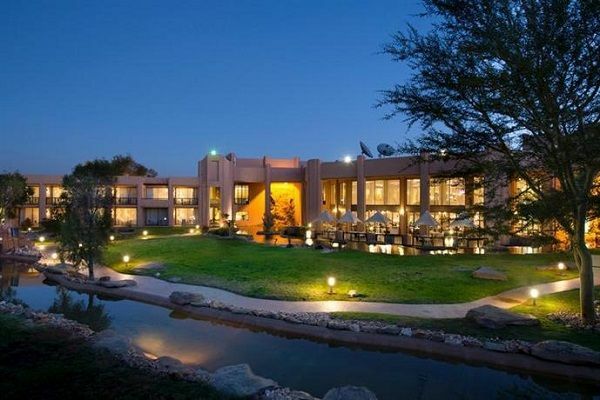 I, as much as any other person who is concerned about the economy, congratulates the Windhoek Country Club as well as MTC, Telecom, Namdeb and I think Nasria, who regularly send the finance minister a dividend cheque, and make a big PR spiel out of it. Is this not what all state-owned enterprises are supposed to do? At last count, I found 81 entities listed by the SOE ministry. This is indicative of the government’s extremely skewed view of what an economy is, what prosperity is, what entrepreneurship is, and what its own role in the economy should be. There are no gains in being the owner of 81 entities that take up more than a huge chunk of your income, and then ask to be carried financially, year after year after year. I am glad that the Country Club is in a position to pay its shareholder a dividend. This has not always been the case and for many years, this hotel also required regular recapitalisation. It is only in the last couple of years that the Country Club has become an asset. Before that, it performed like the vast majority of state-owned enterprises. Shareholding does not guarantee a never-ending steady stream of dividends. This much is clear with the almost 30-year history of dozens of parastatals. The question is whether the powers that be believe this. I am wondering if, when they talk in private, they still harbour their misguided, uninformed notions of what business is, both its good and its bad aspects. In this sense, the recession is a blessing in disguise. Not only did it force the government to reconsider its own role as shareholder of so many entities, it also opened the eyes of thousands upon thousands of ordinary Namibians, experiencing for the first time since Independence that the government is not all-powerful, it does not have access to unlimited amounts of money, and there is no benefit in ownership when there is no profit. Interest rates – what effect will the Fed Funds Rate have on the Repo Rate?